Home Page | Archive by category "Blog Marijuana Drug Testing"
How to Pass Ketamine Drug Test .Though not as popular in the United States as in Europe, ketamine is slowly making its way deeper and deeper into the US. Originally developed as a surgical anesthetic, ketamine is now predominantly used in the veterinarian field as an animal anesthetic. It is largely from its legitimate applications that it is diverted from onto the streets. Brief Timeline History: Originally discovered in 1926 along with PCP, Ketamine was first placed under pharmacological investigation for the use in humans in 1964. It was originally considered a much more desirable “dissociative” anesthetic than its chemical relative PCP, which possessed a long duration of action and greater unwanted effects overall. Ketamine is considered a Schedule 3 Substance in the United States, though it is rarely used on humans due to its dissassociative properties. Since it is a Schedule 3 Substance, Ketamine is not regulated by The Analog Act. Medical History Before Current Legal Status: Ketamine was specifically created synthetically as an anesthetic and has always been a schedule 3 substance. There are no conflicting ketamine laws that come to mind. Ketamine is classified as a dissociatve anaesthetic and psychedelic compound, so its main effects separate the users mind from their body, at least this is the best way to describe how they perceive the experience. In high doses, it has a complete anaesthetic effect, leaving the user to appear in a coma-like state. With a lower dose, it seems to have a contradictory effect and actually provides an increase in energy along with an enjoyable head and body high. Along with the euphoria that it provides, it can give its user an increase in their perceived connection within the world, whether it is a connection with other beings or objects. It is also noted for its ability to provide very deep and meaningful spiritual experiences. One of the classic effects of ketamine is called the “K-hole” in which the user experiences extreme mind-body dissociation, possible chance of out-of-body experience, and extremely realistic visuals. Unwanted Drug Effects: As with any drug, Ketamine is not without its unwanted effects. Users can experience over inebriation at which point they may experience total loss of their coordination. 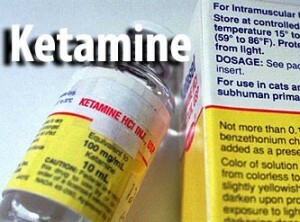 Addiction is also a unique trait of ketamine, as most psychedelics are typically not addicting. Another very real risk when consuming this drug is overly intense or unwanted depersonalisation or sever dissociation. Depression of your heart rate and overall respiration is another risk, which increases with an increase in dose. Furthermore, Ketamine is thought to cause permanent damage to its users bladder and may result in long term psychological problems such as paranoia and egocentrism. Besides at Vet Offices or hospitals, India is one of the biggest suppliers of illicit ketamine. Ketamine is a dissassociative anesthetic related to PCP and even DXM, an ingredient in OTC cough medicine. Since Ketamine is schedule 3 and not subject to the Federal Analog Act this technically makes all of its various chemical variations, such as MXE, in a completely legal gray area. Though it does have its following in the United States, Ketamine is something that never really seemed to catch on that big. This is not to say that it won’t catch on. However, the future of ketamine is not in ketamine itself, it will likely be one of its analogs, most likely MXE. MXE has the potential with its similar effects to ketamine and the fact that it addresses any issues of supply that could have been a problem with Ketamine. Active Chemical: Their are two active chemicals in marijuana that are responsible for its effects, THC and Cannabidiol, respectively. THC is the primary chemical component of most marijuana and is responsible for producing the high and feeling of being “stoned” that is sought by the majority of users. However, of equal importance is Cannabidiol, though we still do not know exactly how either works, we do know that cannabidiol does not produce a high. What we do know about this secondary chemical is that it plays a large role in alleviating inflammation, possible paranoia/anxiety from THC, and a decrease in seizure activity in multiple seizure disorders. Most marijuana is a combination of both chemicals but through precise breeding techniques growers can achieve a larger amount of one chemical over the other. How to Pass Marijuana Drug Test Quite possibly the most controversial, misunderstood, and historically ironic drug, Marijuana has been around for and in use for a long time. The oldest stash found so far dates back at least 2,700 years and was discovered at a tomb in the Gobi Desert, but mentions of Cannabis throughout human history have been found as far back as 2737 BC. Its colorful and in modern times bloody story, likely goes back even further in our history as a society than even alcohol. The simple facts presented in the history of mankind tells us three things: We like our alcohol, love our herb, and when something like either is intertwined so deeply with society that only negativity will result in both of their complete bans. Extremely contradictory at this current time in the United States. Two states in the US actually allow for the recreational consumption of Cannabis now (Colorado&Washington State) and medical use in almost half of US states, but the United States Federal Government still maintains Marijuana as a Schedule One Controlled Substance. This means that Cannabis in any form, even hemp at the current time, is illegal to buy, sale,trade, or distribute in any manner, unless of course you have a special DEA License (good luck with that). It also puts Cannabis in the same league as Heroin and many other obviously more destructive substances, which is ludicrous considering the facts we know about Cannabis. Schedule One also means that according to the USFG, marijuana has no feasible nor legitimate medical use, once again, this is in direct opposition to their own states and the evidence proving otherwise. Meanwhile, the country of Uruguay has recently passed a law that will allow the government to grow and sell marijuana for as little as $1 per gram. Their law also allows for small amounts of personal plants to be grown by individuals. With this law, Uruguay became the first place in the world to legalize and offer a way to regulate marijuana. For a final look at other places that cannabis law varies around the world, lets consider The Netherlands. The Netherlands, specifically Amsterdam, was the original Potopia and #1 stoner friendly location with their coffee shops that offered marijuana ordered off of a restaurant like menu. However, in recent years, the government has become stricter on the coffee shops and have attempted to ban tourists from even being able to enter them. Prior to its criminalization worldwide, marijuana was actually a widely used medicine. In fact, Around 2,700 BC, the Chinese Emperor Shen Nung was said to have been the first person to have experienced the great healing and medicinal attributes of marijuana. A potent oil mixture obtained from marijuana is even mentioned in the book of Exodus, about 1450 BC. At some point close to 1213 BC the Egyptians were actually using cannabis for glaucoma, inflammation, and even for enemas. The list literally goes on and on, but at some point in our history we chose to forget the near intimate healing and medicinal relationship of man and cannabis. In the present age, there does seem to be a major reawakening in the use of cannabis as both a healing medicine and religious sacrament. 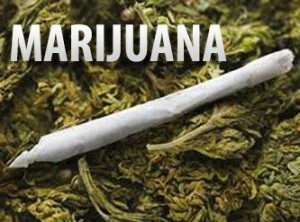 People may ingest cannabis for any number of desired effects. It is known to provide its user with a sense of euphoria, the ability to view things from a different and more philosophical/ creative perspective, relief from inflammation especially with strains high in cannabindol content, an increase in appetite which is often referred to as “the munchies”, and a new found sense of entertainment in projects or things that otherwise would have seemed boring. These are only some of the basic desired effects of marijuana, it is used for a plethora of reasons, with many of them being legally sanctioned as medicine in some states. Overall, marijuana is considered a safe drug with an extensive history of use. Some may even argue that it is actually safer than alcohol. It does have its negative side-effects: A risk of fairly minor psychological dependance, effecting ones ability to recall events that have occurred in the short-term, upper respiratory problems/aggravation, and some users have been known to experience extreme anxiety or paranoia when they marijuana. As with any drug, people who have pre-exisiting psychological conditions or a family history of such, should be extremely careful when using marijuana or any other psychoactive substance for that matter because substances alter their brain chemistry further making the effects more unpredictable for at risk people. Hemp, which is distinctly different than marijuana and is not psychoactive, has many applicable beauty, industrial, and personal applications all its own. There are no known overdoses in the history of mankind’s’ use of marijuana. This means that drugs such as Tylenol kill more people every year than marijuana and will continue to do so. The psychoactive marijuana comes in two distinct psychoactive strains, indica which produces a more stoning bodily type high, and sativa which produces a more energetic and head type high. It is from indica strains that “skunk” breeds of marijuana originate from and on the sativa side of marijuana you have breeds such as AK47. Marijuana has indeed been around much longer than most psychoactive substances. With individuals having to smoke or eat their entire body in marijuana within a two hour period for overdose to even be plausible, it is safe to say that nobody is going to die directly from marijuana anytime soon. As time changes and continues to march on, rest assured there will still be much to add to the ever growing and budding history of cannabis. Although nicotine is not classified as an illicit drug, a new study suggests that nicotine use often encourage the users to abuse illicit drugs. Scientists have discovered that nicotine makes the human brain more susceptible to addiction of drugs like marijuana and cocaine. A recent survey has revealed that over 90% of adults (aged between 18-34 years) who abused cocaine have smoked cigarettes before they started using cocaine. WHAT IS NICOTINE AND HOW IS IT TAKEN? Nicotine along with caffeine and strychnine belong to the group of chemical compounds known as alkaloids. These chemical compounds are produced by the plants that belong to Nightshade family for preventing animals from eating them. They taste bitter and are often dangerous too. Nicotine is the key ingredient in all the tobacco products such as cigarettes and chewing tobacco. It is the main reason why people who start smoking once tend to get back to it again and again. It is highly addictive. 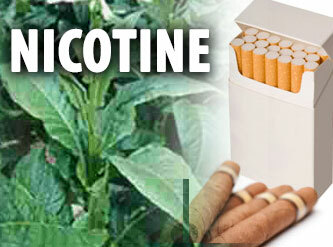 Nicotine is found is shredded tobacco and is used in the form of cigarettes, pipes, cigars. It can also be consumed through smokeless tobacco which is available in the form of snuff and chewing tobacco. HOW LONG DOES NICOTINE REMAIN IN THE BODY? When nicotine is inhaled, it is converted into cotinine and remains in the blood, urine, hair and saliva of the user. The length of time that cotinine stays in your body and the detection of the drug greatly depend on the amount of nicotine consumed by the individual, frequency of consumption, health and age of the user and the type of drug test performed on the user. It can remain in your body for a period of 3 days to 3 months. It is visible in blood for 3 days after the use, urine for 3-4 days and saliva for 10 hours or 2-4 days. Blood test is an effective way of detecting the presence of nicotine in one’s body. Even the slightest amount of nicotine and its derivatives cotinine and anabasine present in the bloodstream can be detected with the use of nicotine blood test. Nicotine converted into cotinine remains in the blood for longer period when compared to urine and hence blood tests provide more reliable results. Urine test is the most commonly used method of nicotine testing as the test is readily available and is easy to administer. Nicotine and its derivatives remain detectable in the urine sample of the suspect for 3-4 days. However, if the person uses menthol cigarettes, it takes longer for cotinine to be excreted with the wastes. Saliva test is considered to be the most effective nicotine drug testing method. Cotinine, a metabolite of nicotine is used as the subject of saliva test. This derivative of nicotine has longer half life than nicotine and remains in the saliva for more than 10 hours or even 2-4 days in many cases. It is the most preferred testing method for detecting nicotine use. Hair follicle test for nicotine can give accurate results. However, there are no standard cut off levels set for this testing method.